Prime Minister Theresa May said her government will launch a consultation on banning the single-use items later this year, ahead of legislation on the issue. The move follows the 2015 introduction of a small charge for carrier bags in most shops, a ban on plastic microbeads and last month’s announcement of plans for consumers to pay a deposit on plastic bottles. “The UK government is a world leader on this issue, and the British public have shown passion and energy embracing our plastic bag charge and microbead ban,” May said in a statement. 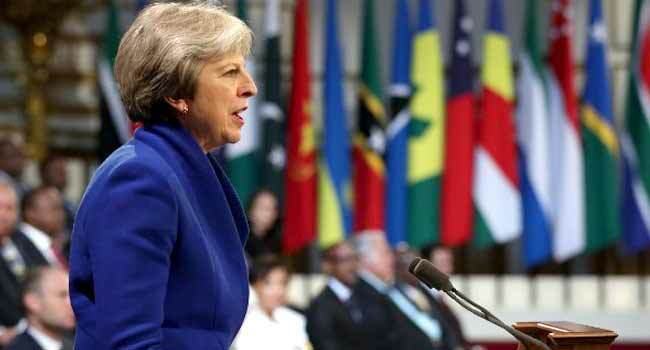 She added that Britain is “rallying Commonwealth countries to join us in the fight against marine plastics” by making it central to the agenda at a summit of the group London is hosting this week. “Together we can effect real change so that future generations can enjoy a natural environment that is healthier than we currently find it,” May said. The government will commit £61.4 million (70 million euros, $87 million) for global research and to improve waste management in developing countries, she added. A recent study found 8.5 billion plastic straws are thrown away in Britain every year, according to the government. Environment Secretary Michael Gove said this posed “a particular threat to marine wildlife” and the situation was “a worldwide emergency”. “We are going to ban these plastic items,” he told the BBC. The proposed ban is part of a 25-year plan to eliminate avoidable plastic waste, which may include tax incentives.